Clean air is in the top 5 health concerns according to Center for Disease Control. Respiratory health concerns affect many Americans. Indoor air pollution can make it harder for people with asthma and other breathing diseases to breathe. Asthma and COPD patients are among the most heavily affected. The very young and old are at a great risk. It’s not only these groups who are at risk. Poor air quality affects us all. Indoor air pollution affects everyone. We spend 90% of our time indoors. Whether at home, in school or on the job dirty air affects us all. Indoor air is up to 5 times more polluted than the air outside. A quality air purifier is one part of the solution to clean air for everyone. Our products are made to be used in many different environments. We make air purifiers for the home. We produce quality room air purifiers and whole house air purifying models. We supply air purifiers at a discount to schools. We even offer a free 30 day trial for any school that would like to see if our products are a good fit for their classrooms. We manufacture air cleaning products for the work place. 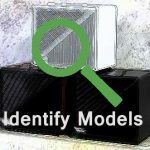 Our commercial models remove harmful particles from the air we breathe at work. We have air purifiers for professional settings like doctor’s offices and banks. Our air purifiers clean the air in many of the social gathering sites like restaurants and cigar bars. Our Air purifying products are used in American homes, at SPACEX , by Childress Racing and thousands of other places where clean air is important. Our Goal and Mission is and will remain: “LakeAir ~ Clean Air Everywhere”. LakeAir produces high quality air purifiers. Our products are made in our plant in Racine WI. Some brands are “assembled” in the USA. At LakeAir we cut the American steel and aluminum. We punch, bend, weld and paint the parts in Racine. Each unit is assembled by American workers. This is a truly American made product. Our products have been made here since 1968. You can reach our Customer Service 7 days a week. We are here to serve you when you need our help 800-558-9436. You can also get email support from customer service We will help you trouble shoot an older model you bought from a neighbor. Every LakeAir customers is important to us. LakeAir Air Purifiers have been around since 1968. We still carry parts and replacement filters for all of them. Good luck trying to find a replacement filter for a big box brand that is over 2 years old. All of our products are made to a commercial grade. We use all steel construction in every product. We use high quality components. We use steel, aluminum, politen, ceramic, and tungsten materials. We avoid cheap plastic that is so prevalent in cheaper brands. Expect your LakeAir product to last long after its 7 year warranty. We offer discounts to our USA Veterans. They have sacrificed much so we can have a free economy. We offer discounts to first responders. We value their dedication to protecting and serving us here at home. If you are elderly and on a fixed income we will reduce prices for you. Everyone should have clean air. Contact us and we will do all we can to make clean air affordable. We even have a program for a free air purifier. We are dedicated to provide clean air for everyone, everywhere. Air Purification Systems are generally separated into 3 categories. First are mechanical air purifiers. They clean the air by trapping dirt in a filter made of some type of media. Second are Electrostatic. They trap dirt by electronic magnetism. The Third uses some other device to clean the air of specific items; for instance UV filters remove live organisms. 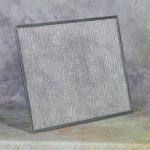 How big of an area will an air purifier filter? The size of the area an air purifier will cover can be calculated in CFM. We provide a great tool to show you how many CFM you need to clean any area. As an example, the LakeAir Maxum air purifier will provide 275 CFM of clean air. That is enough to clean a room 20′ x 20′ 6 times an hour. There are 2 really good alternatives for smoke. Both of these technologies use an activated carbon filter. The two type are HEPA and Electrostatic. HEPA cleans more thoroughly on a single pass. Electrostatic is about 3% less efficient on a single pass. Where electrostatic come out ahead is how many times it can clean the air per minute. HEPA air purifiers generally clean the air in the room 1 to 3 times a hour. But an electrostatic unit can clean 4-12 times a hour. Both technologies work but there are many factors to consider. We devote a page to this question. Should I worry about dust in home? Most dust particles are undetectable to the human eye and other senses. You need to be concerned about dust. Airborne particles are a mixture of microscopic solids and liquid droplets suspended in the air. These nastys are made up up of a variety of elements. What you think of as just dust might include metals, gases, smoke and biological contaminants. Dust mites, animal dander, mold and pollen found in dust. They reduce air quality and can lead to respiratory health issues. Allergy and asthma sufferers are particularly at risk. Young children and the elderly suffer more from indoor dust pollution. The EPA describes Volatile Organic Compounds as chemicals that evaporate at room temperature. VOCs come from a wide array of products used in home. VoCs occur naturally as well. Home products that emit VOCs include paints, nail polish, cleaning supplies, air fresheners, pesticides, building materials and even furnishings. VOCs are released from products into the home during use and while stored. VOCs also come from nature. Radon and formaldehyde and other harmful gasses seep into our homes for the ground. According to the EPA, VOCs cause eye, nose and throat irritation. They cause frequent headaches, nausea. Worst of all they can damage the liver, kidney and central nervous system. Where is the best place for an air purifier? You should run your air purifier continuously. Indoor air pollution happens 24 hours a day 7 days a week. Don’t be afraid to run your LakeAir Air Purifier all the time. We have thousands of customers who run their air purifiers non stop. Many customers report that their air purifiers have been running 10 years plus. They only turn them off for regular cleaning. Keep the clean air going and remove airborne particles with confidence. What air purifiers produce ozone? CFM represents cubic feet per minute. This is an important factor in deciding what air purifier you need for your purpose. The larger the area, the more CFM required to clean the air. Each LakeAir air purifier list its CFM output in the product description. Or, you can use our easy Air Purifier Calculator to determine how many CFM you need. Our website is dedicated to educate our visitors. There are several ways you can get answers to the questions you have. You can call us 7 days a week at 800-558-9436. If we are not available for a phone conversation you can submit a question on our help page. We will do all we can to help you find a clean air solution for your world.